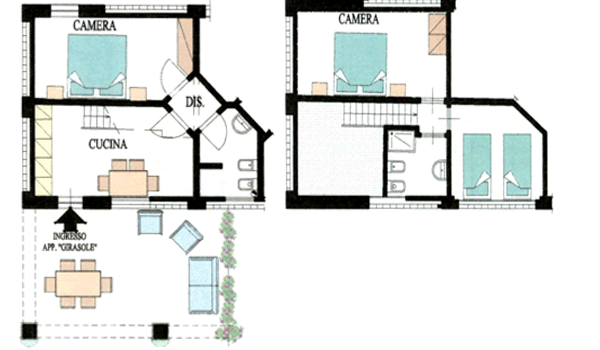 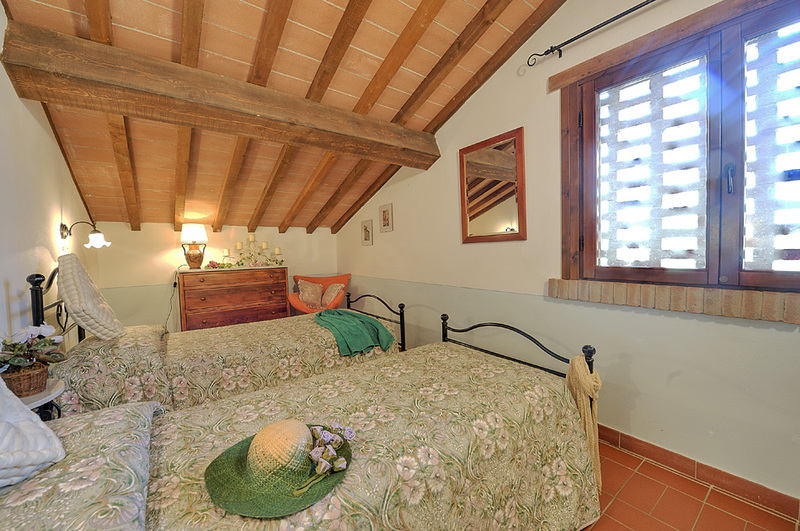 Flat (80 sq.mts), accommodating up to 6+1 people, in the restored hay barn, split level, ground floor entrance. 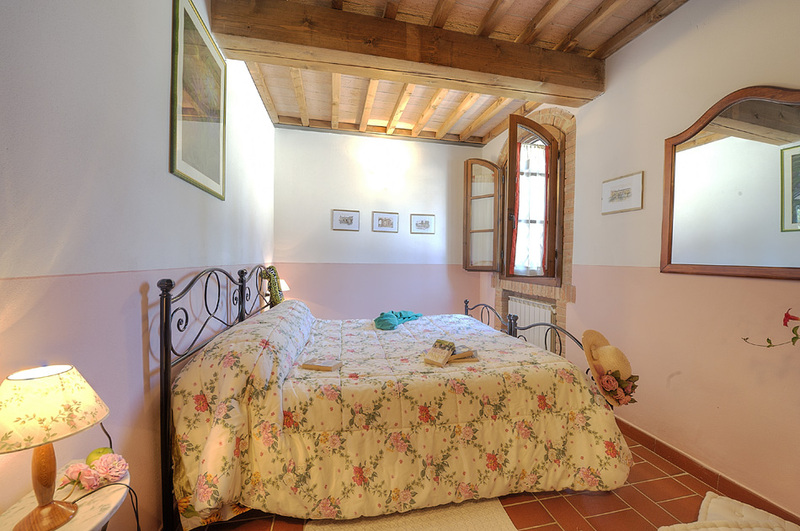 On the ground floor it has one double/twin room, one shower room, living room/ kitchenette equipped with gas cooker, oven and dishwasher. 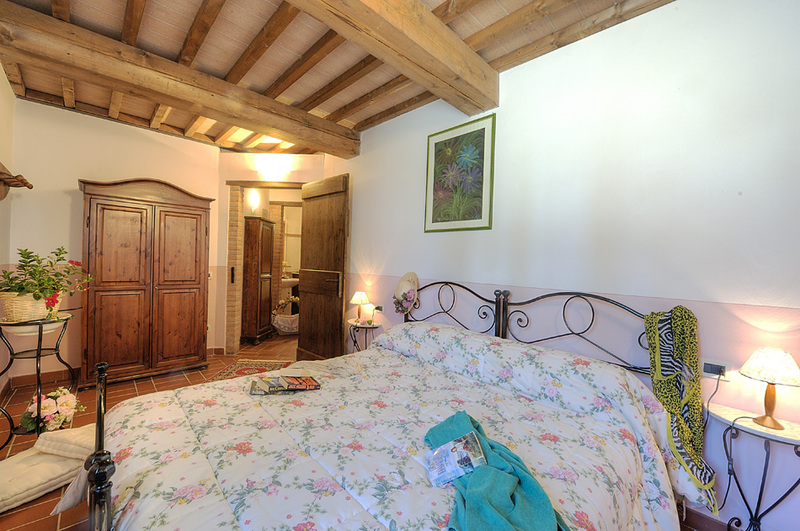 On the first floor one double bedroom, one double/twin rooms, one single sofa bed (in one of the double/twin rooms), one shower room. 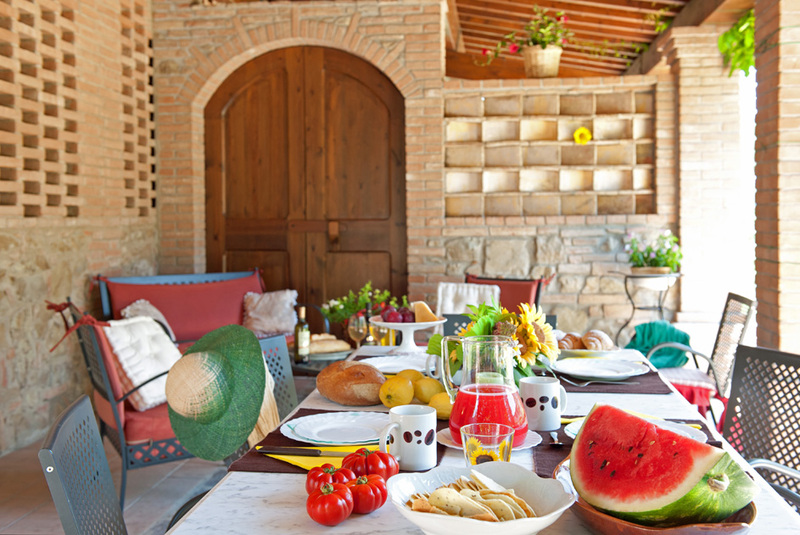 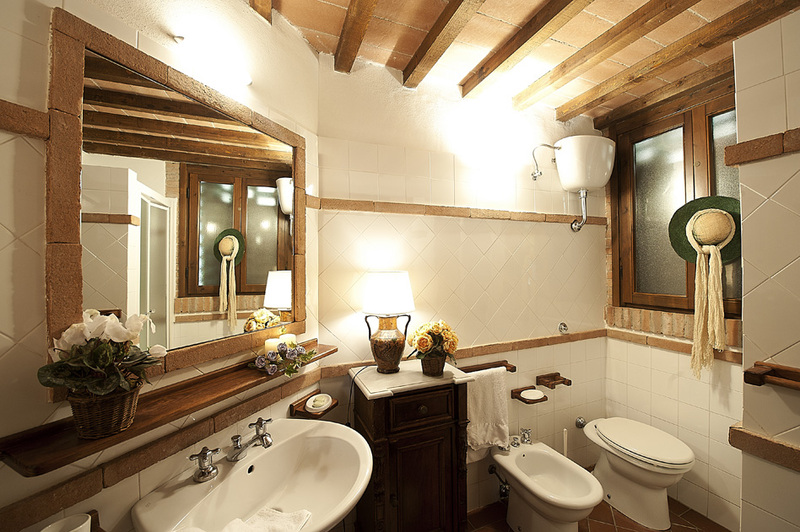 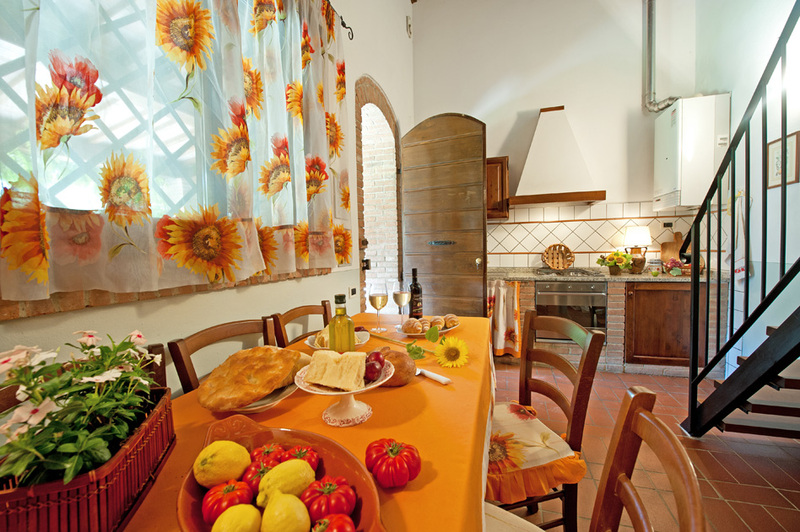 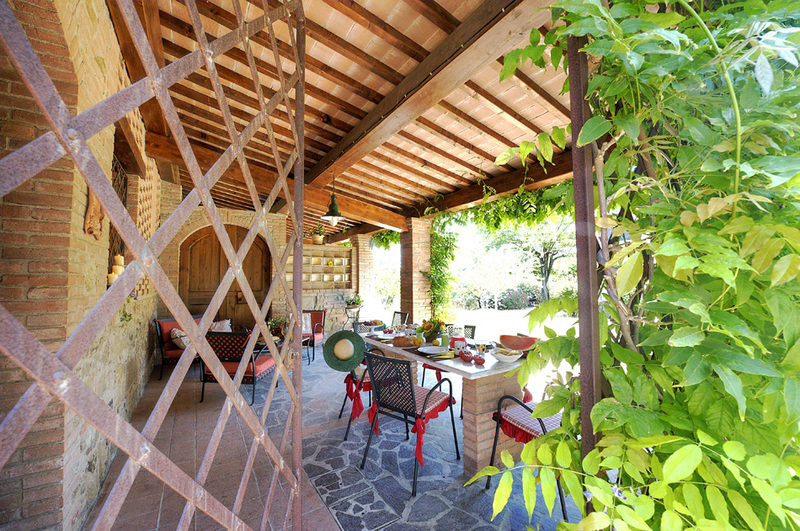 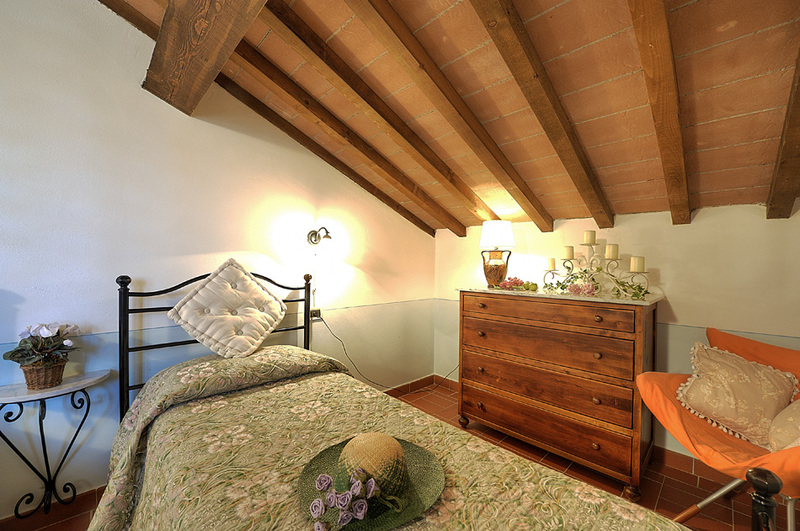 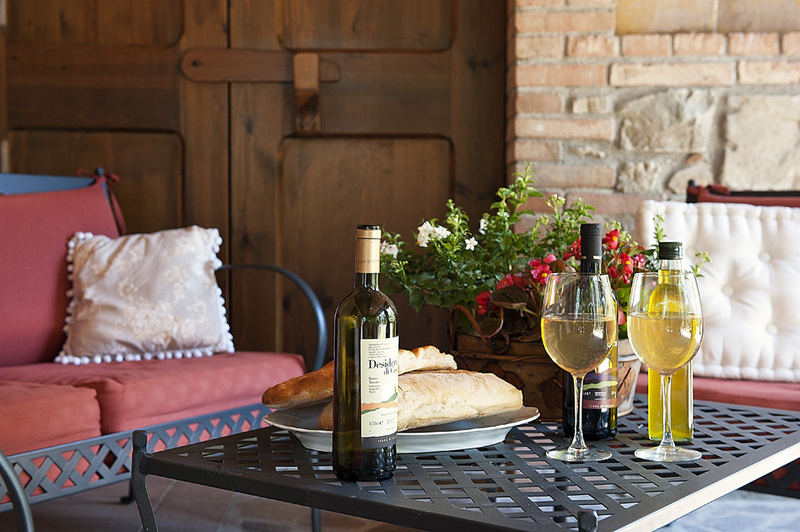 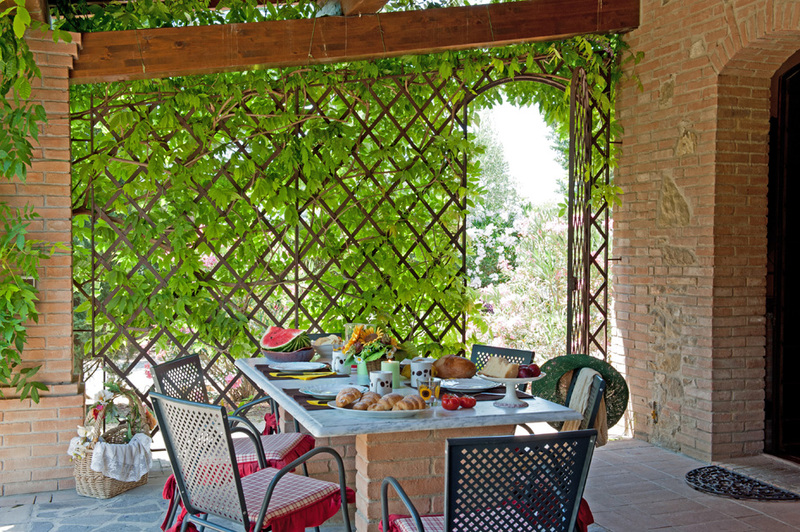 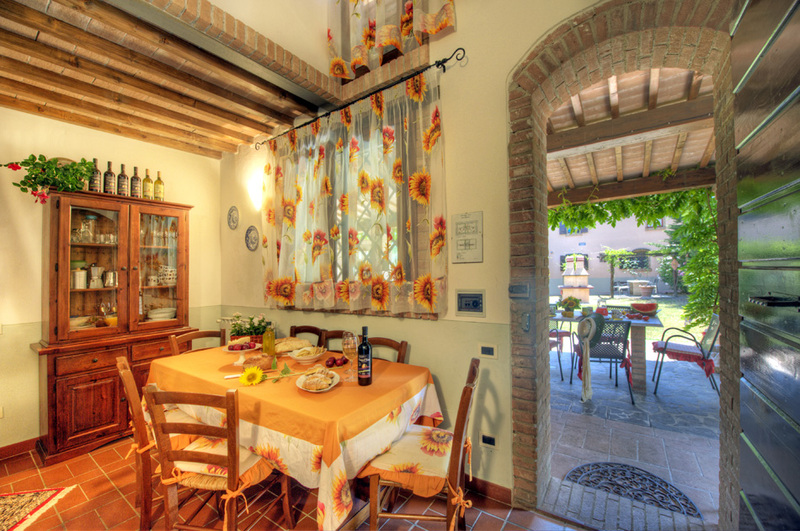 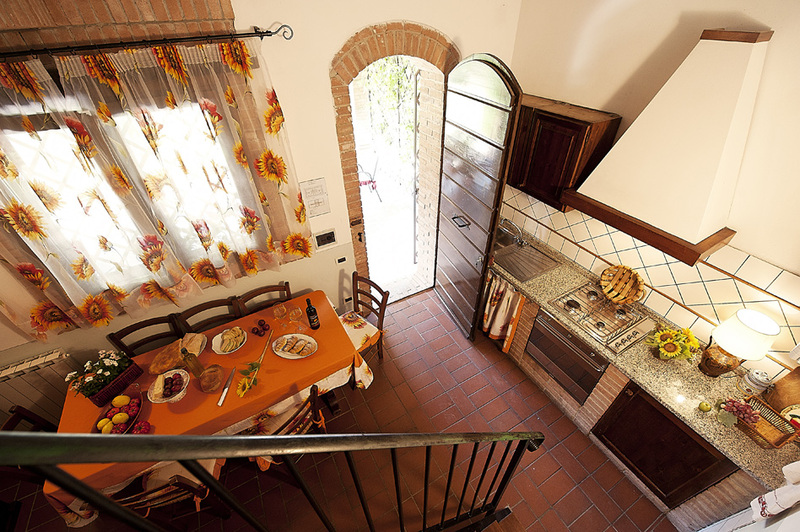 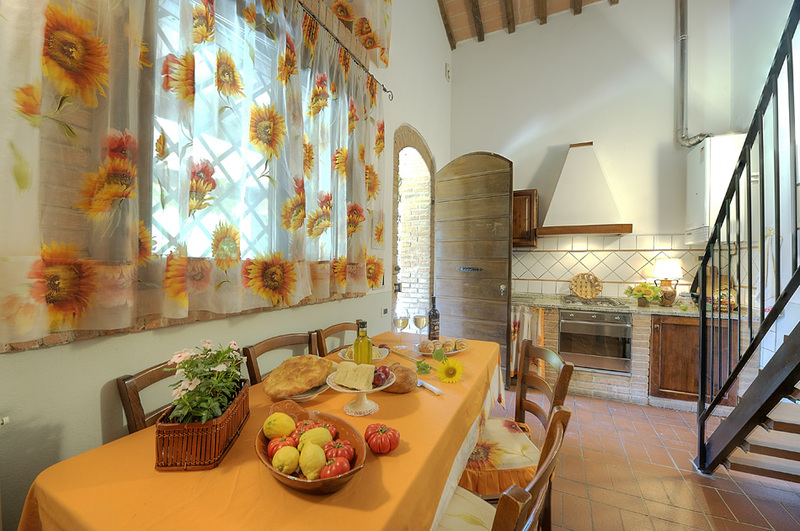 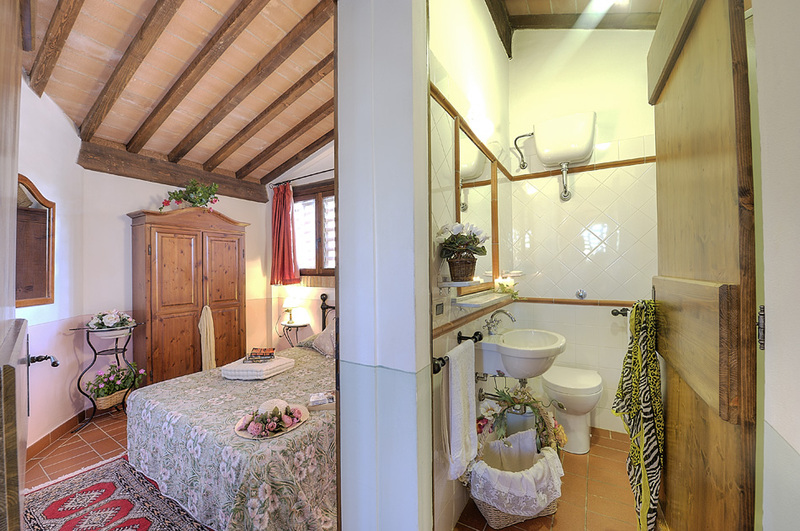 Girasole, a nice apartment Tuscany holiday rentals! 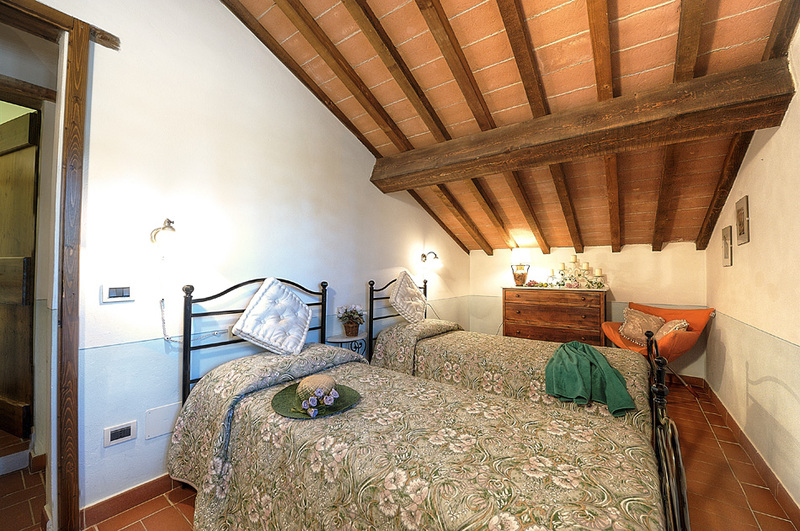 It has heating,terracotta floors, wooden beamed ceilings. 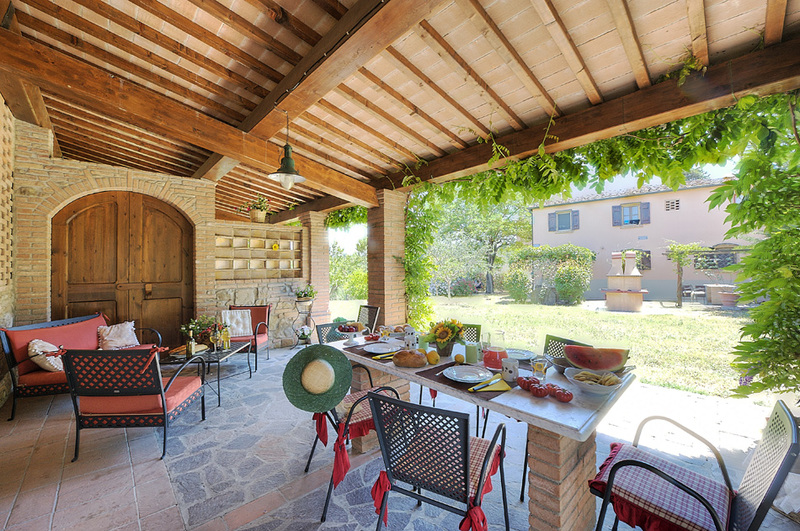 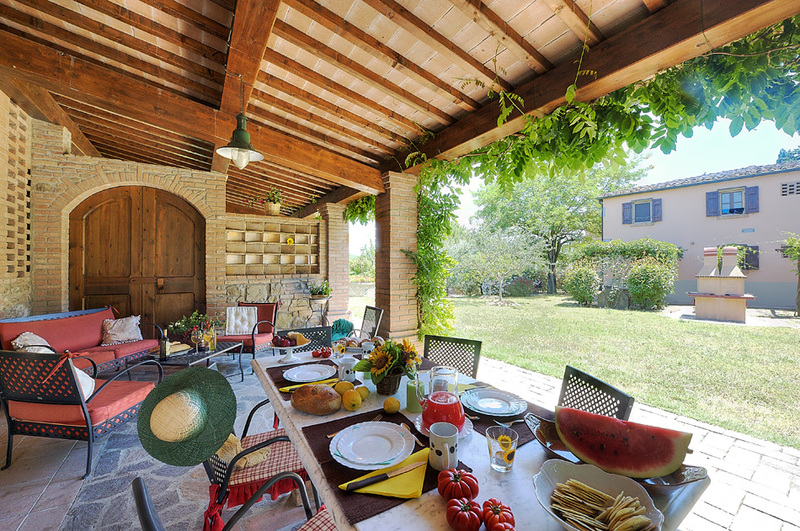 Private large portico equipped with sofa, table and chairs and barbecue available for guests. 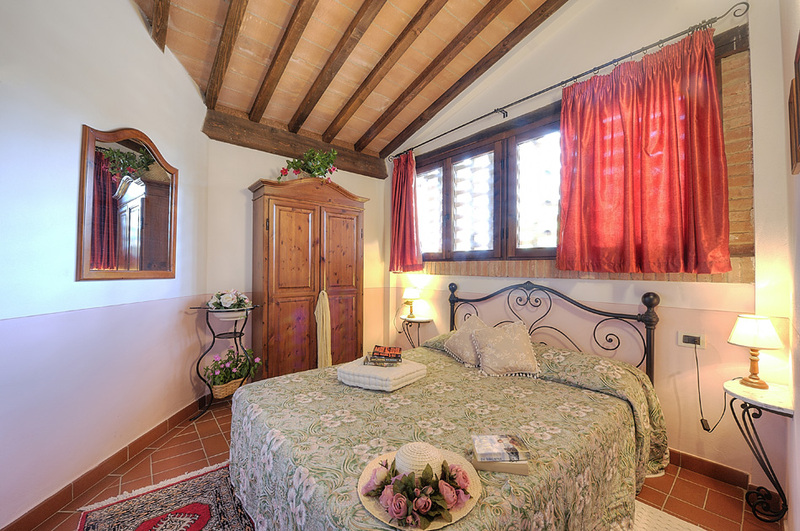 Please Note: Daily rates are reserved for a minimum stay of 3 nights in low season only. 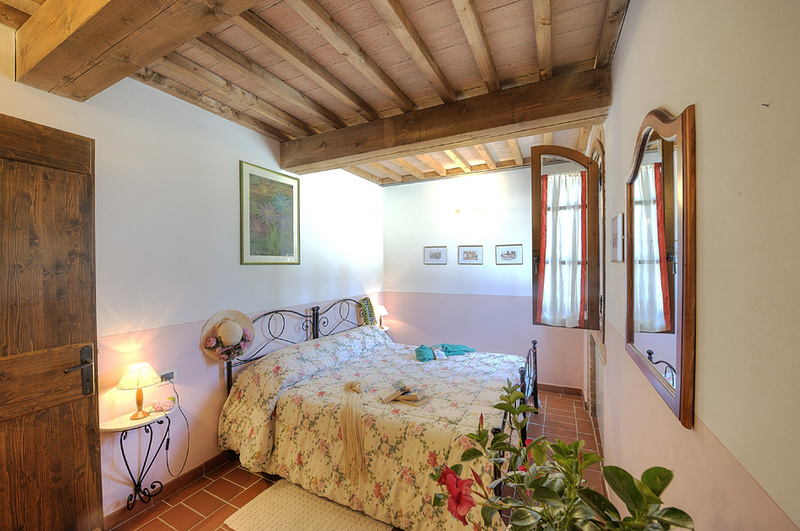 Daily rates for stays less than a week, will be increased by 25%.